Today I’m going to show you how to quickly put your WordPress site into Maintenance Mode so you can make theme, plugin, content or some other updates to your website. This prevents visitors to your site from seeing a broken page or some other content in mid transition. It also properly notifies Google that your site is down for maintenance (this is called a http status 503 for geek speak) so Google will not index any changes that are not completed. Using a Maintenance Mode plugin is the quickest way to put your WordPress site into maintenance mode. While there are many to choose from in the WordPress.org repository we recommend the Coming Soon and Maintenance Mode Plugin by SeedProd. This free plugin lets you set up a great looking maintenance mode page for your visitors in seconds. Let’s walk through the settings. After setting your maintenance message,the next thing you’ll want to do is set the design. Click on the Design tab to display the design options. There are quite a few options on this page you can play with but the only two you need to quickly create a great looking maintenance mode page is the background image settings, dim background image and text color settings. If you do not already have a background image go to http://unsplash.com and grab one from there. Make sure to resize the image before using. Some images from Unsplash are super high resolution. Then upload it to the maintenance mode plugin’s background setting. Next click the dim background option. 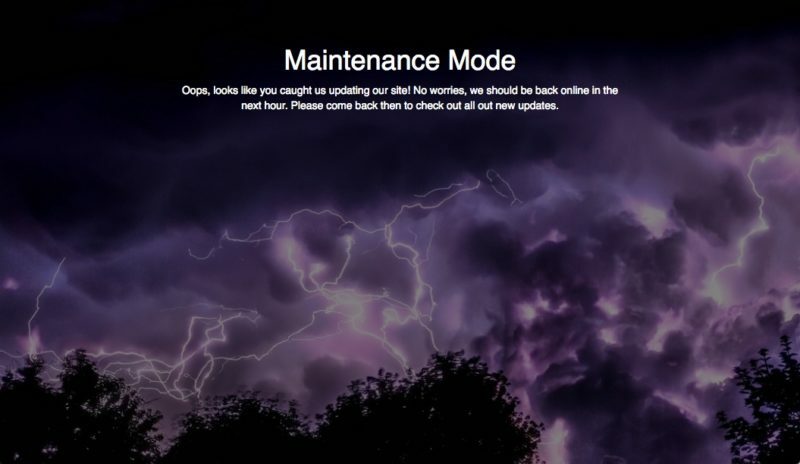 This will allow your maintenance mode message to be easily seen. Also set all the text and headline colors to be white. Now click the Live Preview tab to see what it looks like. And that’s it! You now have a great looking maintenance mode page. Of course feel free to play with the other settings in the plugin but this will get you up and going quickly. Also don’t forget to now enable maintenance mode in the plugin. Now when visitors come to your site they will see a maintenance mode page while logged in visitors can see the real site and can make updates. 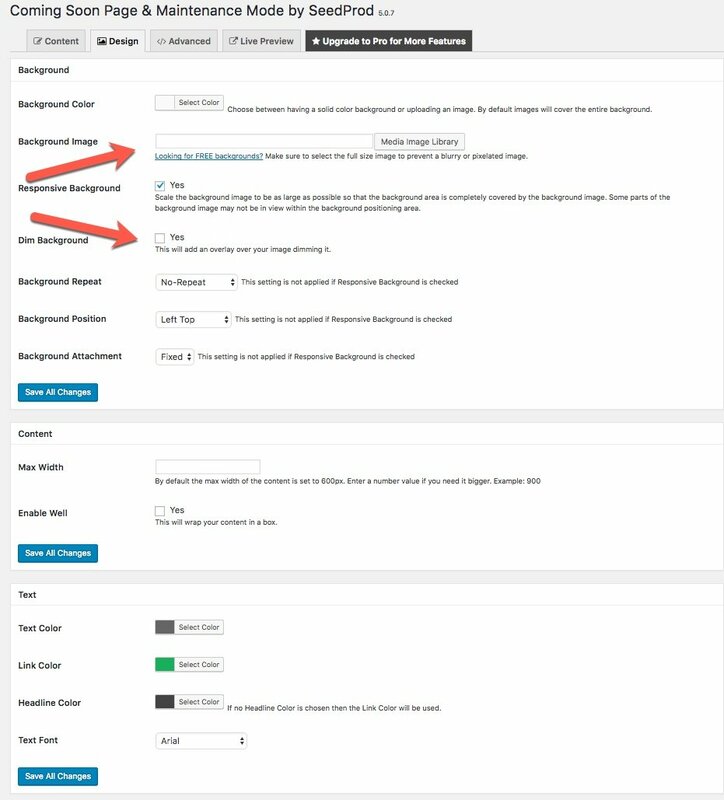 5 thoughts on "How to Put Your WordPress Site into Maintenance Mode"
Hi there, I just did what you say, but the background image doesn’t show on mobile. Is there something that I’m missing?